Six million Jews killed in gas chambers disguised as shower rooms in the best documented genocide in world history, and yet there are no bodies, no murder weapons, i.e. 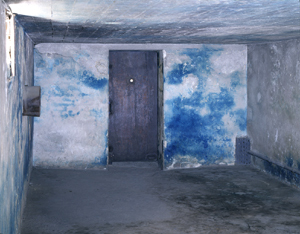 gas chambers disguised as shower rooms, and no documents. From a review of the book on amazon.com, “I guess they would call it ‘Chutzpah’, to publicly use the same big lie twice within the span of twenty or so years.” Note: Amazon removed the quoted review. Rabbi Stephen Wise, founder of the American Jewish Congress and assistant to Supreme Court Justice Louis Brandeis, the leader of the Zionist movement in the US, was instrumental in creating the WW I hoax, and led the efforts to resurrect the hoax during WW II. There are now only six alleged ‘death camps’, four were razed before the end of the war, and two, Auschwitz and Majdanek, are still standing. There are visitors tours at Auschwitz and Majdanek, and they culminate at ‘specially developed gassing facilities’, or gas chambers. Let’s have a look – this is the door to the ‘gas chamber’ at Auschwitz – Yes, that is a window, and it is unbarred. The door itself is a typical wooden office door, it is not sealed. A visitor recently asked a guide why the prisoners didn’t break the window and escape, the guide replied that an armed guard was stationed outside the door. That is, they really expect people to believe that this was a ‘gas chamber’, and, amazingly, people do. The ‘gas chamber’ is actually a morgue room in a crematorium. This is a picture of the ‘gas chamber’ at Majdanek, and yes, that is an unbarred window. The Majdanek hoax gas chamber is a fumigation room, where Zyklon, an insecticide used all over Europe to kill lice to prevent the spread of typhus, was used to delouse clothing. 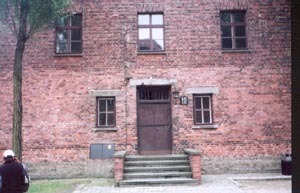 A building containing several fumigation rooms still exists at Auschwitz, complete with the special machinery used to generate, distribute, and exhaust the gas produced by Zyklon. These rooms at Auschwitz are never shown to visitors. The fumigation rooms became the ‘homicidal gas chambers’ of the holohoax. The hoax gas chambers at Auschwitz and Majdanek are the only ‘gas chambers’ in existence. Dr. Charles Larson headed a team of forensic pathologists sent into the camps at the end of the war to document war crimes. They conducted hundreds of autopsies at more than twenty camps, they did not find a single body showing signs of gas poisioning. None have been found since, at any camp. For sixty years the media has inundated the world with photos of typhus victims taken by the British after the war at Belsen presented as evidence of Nazi gassings. Everyone has seen the photos of Belsen typhus victims presented as holocaust gassing victims, and everyone suppresses the obvious truth, that the prisoners had not been gassed, they were emaciated and had died of disease. 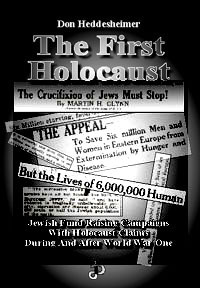 Watch the first minute of the televised visit of Oprah Winfrey and Elie Wiesel to Auschwitz http://www.youtube.com/watch?v=KugVjbq6Si8. Auschwitz is the main hoax ‘death camp’ where 10,000 Jews were supposedly gassed daily! The show begins with Oprah at the gates of Auschwitz, but at 58 seconds in the scene shifts to video of bodies being bulldozed into mass graves as Oprah intones “Evil has a name, the holocaust. A systematic mass murder, meticulously planned and executed by Nazi Germany that brutally wiped millions of people off the face of the earth. More than six million of those human beings were Jewish.” But the video is not of prisoners gassed at Auschwitz during the war, it was taken by British/US troops at Belsen after the war ended and shows prisoners who had died in the tyhpus epidemic. Why are they lying about the photos? Because there are no real photos of gassing victims, just as there is not a single autopsied body of a gassing victim, for the simple reason that there were no gassing victims, the Nazi gas chambers are pure fiction. Who is lying about the photos? Oprah is lying, but she most likely doesn’t know it, and wouldn’t care if she did. If your middle school or high school teacher presents the photos as victims of Nazi gassing, then he/she is also lying and probably doesn’t know it. But, anyone who knows anything about the holocaust does knows the truth of the photos, so many of the people lying about the photos do know the truth. In particular, the purposeful liars include the ‘eyewitnesses’, academics, USHMM, Yad Vashem, and the entire news establishment. The most startling thing about the holohoax is that every establishment organization in the US is participating fully, by actively telling outrageous lies as in the Oprah show, or by allowing the lies to stand without challenge, and suppressing any challenge that does occur. There is not one newspaper in the US that will print the truth about the photos, even in a letter to the editor. Not all of the prisoners died but you have never seen pictures of the ones who didn’t, like those in the photo. A documentary movie made was made by the British, directed by Alfred Hitchcock no less, with footage shot when they entered Belsen, it is the source of the photo. The movie was shelved for 50 years but can now be seen here http://www.pbs.org/wgbh/pages/frontline/camp/ . A comprehensive collection of photos can be seen at http://www.bergenbelsen.co.uk/pages/Database/SurvivorsPhotos.asp?index=0 . Josef Kramer was the commandant at Belsen, and captured documents show that he did everything he could to prevent the catastrophe that engulfed the camp. He was tried and hanged at the end of the war. The letter he wrote to the camp administration requesting more food, medicine, supplies, etc., can be seen here http://www.fpp.co.uk/Auschwitz/Belsen/Kramer010345.html . His case is eerily similar to that of Captain Henry Wirz, who headed the Andersonville prison at the end of the US Civil War. Wirz was also tried and hanged. To read an account of his hoax trial, see http://www.holohoax101.org/wirz/. Wirz’s trial was the first ‘war crimes’ trial and is often cited as the precedent for Nuremberg. Remarkably, (or not), Wirz is still portrayed as a ‘war criminal’ in the US media. Only two hoax ‘death camps’, Auschwitz and Majdanek, were standing at the end of the war, and they were captured intact by the Soviets. The Nazis kept meticulous records at Auschwitz, including death certificates for every prisoner that died, and ‘Death Books’ summarizing the deaths. The Soviets captured the Auschwitz records and hid them for 45 years. 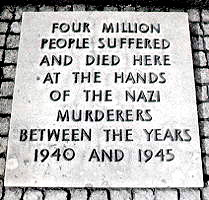 A stone plaque was placed at the Auschwitz entrance stating that 4 million had died there. 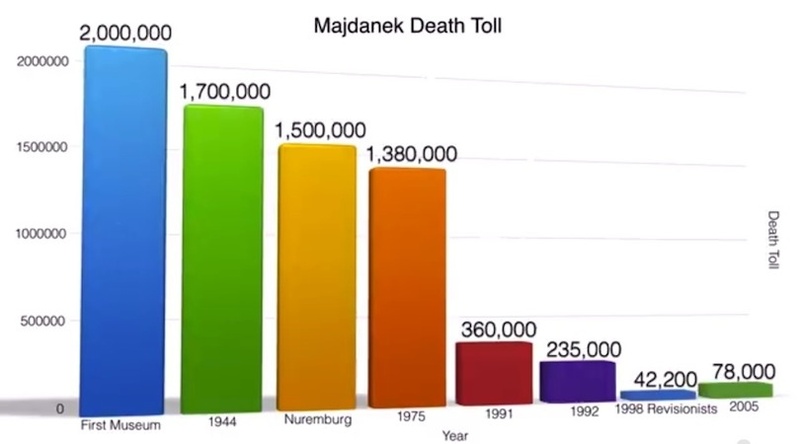 The Majdanek records were also captured, and as they have been released the official number of deaths has gone from 1.5 million to 78 thousand. Remarkably, (or not), the six million total for Jewish victims of the holocaust was not affected even as the official death tolls at Auschwitz and Majdanek were reduced by four million. The documents captured by the British and US forces, over sixty million documents, have been kept secret to all except the holohoax ‘authorities’ at Bad Arolsen to this day. The holohoax is based on lies told by the ‘survivors’. The three most famous holocaust survivors, Elie Wiesel, Otto Frank, and Primo Levi, have something in common – when the Soviet army approached Auschwitz, they were all in camp hospitals, there were several, the main Auschwitz hospital is shown to the left. Elie Wiesel was being treated for an infected foot. The Nazis gave him the option of waiting to be liberated by the Soviets, or evacuating to the west. Wiesel, with his father, chose to leave with the Nazis. This is related in his book Night describing his year at Auschwitz. When Wiesel was in Auschwitz the Nazis were supposedly killing 10,000 Jews per day in gas chambers disguised as shower rooms. There is not a single mention of gas chambers in the book, Wiesel writes that the Nazis killed the Jews by throwing them alive into burning pits, one for children, one for adults. Anne Frank and Otto Frank, her father, were first taken to Auschwitz. They were there when the Soviets approached. Otto had contracted tyhpus and was in the camp hospital, and was liberated by the Soviets. 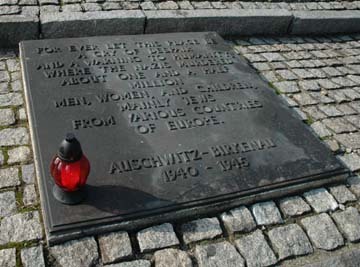 Anne was transferred west where she died of typhus in the epidemic at Belsen. Primo Levi was also in the Auschwitz hospital and was liberated by the Soviets. Abraham Bomba describes how barbers at Treblinka gave haircuts to roomfuls of naked women in the gas chambers, including their wives, sisters, and mothers, just before their executions in the very same room. He was featured in the movie Shoah documenting the holocaust. His absurd ‘testimony’ can be seen at https://www.youtube.com/watch?v=JXweT1BgQMk. This is a must see. Yehuda Bauer, Director of Research at Yad Vashem writes in the introduction to survivor Filip Mueller’s book Eyewitness Auschwitz: Three Years in the Gas Chambers “This is a unique document indeed, it is the testimony of the only man who saw the Jewish people die and lived to tell what he saw.” Mueller begins in the morning, “where some 500 prisoners had lined up in rows of 10 so that they might enjoy their Sunday rest according to established Auschwitz tradition.” The kapo then barks orders to the prisoners to take off and replace their caps. Those not fast enough are bludgeoned to death. One new prisoner speaks up, “I’m sure the people in charge know nothing whatever about this. I protest.” He is bludgeoned to death. “As a result of this mornings sporting activities, thirty-five bludgeoned bodies now lay in the yard of Block 11. However our harassment was by no means at an end. Although by now we were exhausted we stood in line behind wooden tea vats. The tea should have been served early in the morning and was now STONE COLD.” All you have to do to realize the holohoax is pure phantasmagoria is to read actual ‘testimony’ of the only man who saw the Jewish people die and lived to tell what he saw. DR. KAUFFMANN: What attitude did you adopt when you heard about it? The holohoax brainwashing got into full swing immediately at the end of WW II. Within a week of the capture of Buchenwald, the famous Hollywood director Billy Wilder was in the camp making a film of propaganda lies that still circulate to this day. 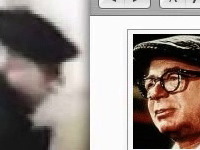 An inadvertent picture of Wilder on the set at Buchenwald is shown to the left. The film, complete with props, claimed that the Nazis made soap from the fat of (Jewish only of course) prisoners, made lampshades from the skin of prisoners, and shrunk the heads of prisoners like in the Amazon. Even the holohoax establishment now admits these were all lies. In the circles, write the following five words: smells, sights, touch, sounds, feelings. Ask them to write words that describe what they smell, see, touch, hear, and feel as a result of the danger. Encourage discussion after they share their sensory perceptions. Relate this information to situations where people fear for their lives, i.e. war, prejudice, violence, and abuse. Ask students to assume the persona of an Ellis Island doctor, a translator, a new immigrant, a U.S. immigration officer, or a swindler, and tell about what they see, hear, smell, and touch at Ellis Island. 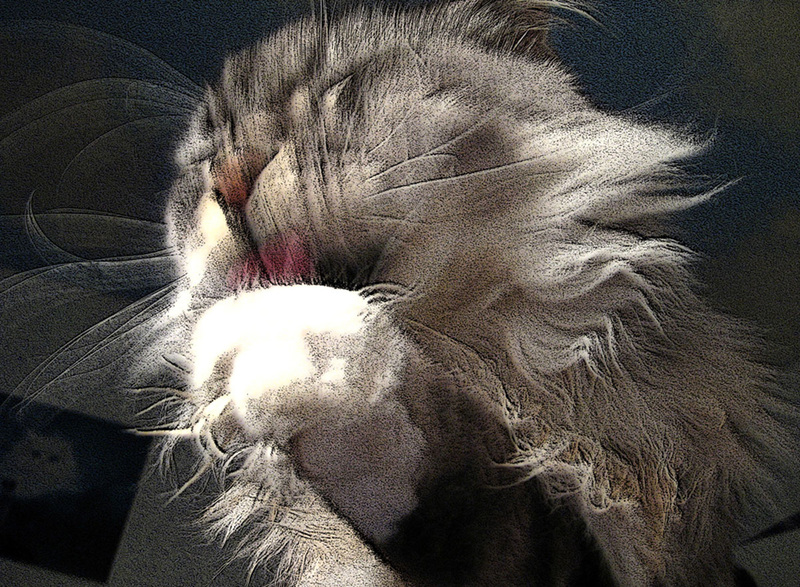 … Prejudice smells like? … Also, have the students draw how they think prejudice looks, smells, and sounds. 1. Tell students to divide a paper into four sections. In one section write the word “fear.” In the next section, write the word “courage.” In the third section, write the word “plan,” and in the last section, write the word “escape.” Have students brainstorm and come up with as many ideas as possible that relate to the words. Allow five minutes for each category. 2. Tell students they are to think about how they would feel if they were in a dangerous situation. Ask them to draw five circles. In the circles, write the following five words: smells, sights, touch, sounds, feelings. Ask them to write words that describe what they smell, see, touch, hear, and feel as a result of the danger. Encourage discussion after they share their sensory perceptions. Relate this information to situations where people fear for their lives, i.e. war, prejudice, violence, and abuse. 3. Ask students to assume the persona of an Ellis Island doctor, a translator, a new immigrant, a U.S. immigration officer, or a swindler, and tell about what they see, hear, smell, and touch at Ellis Island. 8. Talk about the concept of being prejudice. Have the students describe prejudice. (See Unit 1-Page 16.) Also, have the students draw how they think prejudice looks, smells, and sounds. David Cole at Auschwitz – A video tour of Auschwitz and an interview with the museum director – this video revealed the Auschwitz gas chamber hoax to the world. The Last Days of the Big Lie Lies, lies, and more lies, the bigger the better – Steven Spielberg chose the most convincing holohoax witnesses to make an Academy Award winning ‘documentary’ movie, it was vetted by Jewish academics and rabbis. See their absurd lies dissected one by one by Eric Hunt. 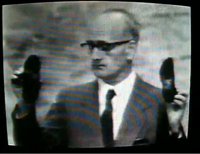 Introduction to the Holohoax – The true provenance of the horrific holohoax photos/film documented. Mandatory. Questioning the Holocaust – Why do people believe the holohoax? Mandatory. The Jewish Gas Chamber Hoax – Documents the thousands of prisoners transited through Treblinka. 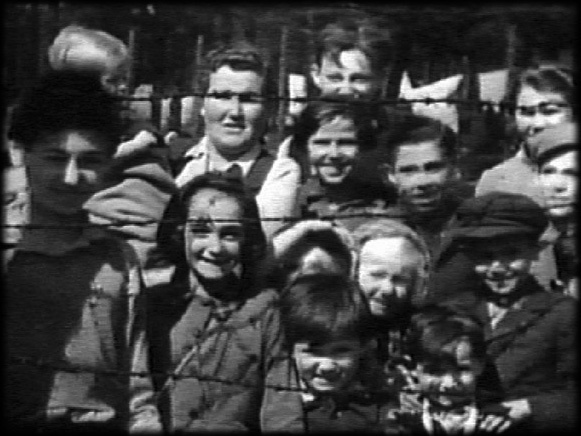 Elie Wiesel’s Night – Holohoax Looney Tunes – Contains an interview with Dina Babbitt, who taught kindergarten at Auschwitz. 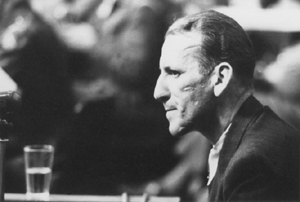 David Irving on the WRB – David Irving reveals how the US government recognized the Holohoax under the direction of Henry Morgenthau. Raul Hilberg’s Stunning Admission – Dean of holohoax scholars admits there is no evidence linking Hitler to the Holohoax. The Treblinka Archeology Hoax – Caroline Sturdy Colls Smithsonian Treblinka study exposed as a laughable fraud. The Chemistry of Auschwitz – The results of chemical analyses of the walls of the hoax gas chambers. The Nordhausen Bombing – The ‘Holocaust Victims’ at Nordhausen were killed by Allied bombs. PBS – Memory of the Camps -A British documentary, directed by Hitchcock and shelved for fifty years, this video documents the typhus epidemic at Belsen. One Third of the Holocaust – A detailed look at the holohoax apart from Auschwitz. Nazi Concentration and Prison Camps – This film Was shown at the Nuremberg trial, complete with shrunken heads, soap made from Jewish fat, and human skin lampshades. The USHMM lie – <font “=”” color=”#ffcc00″> – We Will Show You Their Own Films. The reality – it was filmed after the war by the British/US. The Hoax of the Twentieth Century, by Arthur Butz, Prof. at Northwestern University – this is the essential book. There are two aspects to the hoax, first, what did and did not happen to the Jews during WW II, and second, the phenomenal ongoing worldwide effort by the Jews to convince the world that ridiculous phantasmagoria actually happened. Butz’s book addresses both aspects in great detail.